← Q: What Do Cat Pee and Governor LePage Have in Common? One of my dogs, a sort of mini-border collie kind of mutt, age 8 years, injured her ACL. She put partial weight on it. I never took her to the vet. This was huge for me. I am former CVT and an acupuncturist and i work in a supplement store. I did not want the onus of surgery hanging over me. I put her on a regimen of salmon oil, Eclectic Herbs freeze dried turmeric powder, Redi-dog hyaluronic acid, and very little activity, that slowly built up over 3 months. She had a few dog aspirin for about 4 days at the beginning.I did daily moxabustion and Acutonics (tuning forks instead of acupuncture needles) on the appropriate points. I did gentle massage. I fretted constantly that I was a bad dog mother for not going to the vet. But this one I knew we could work out. If it had been a lot worse, I would have gone. She is fine now, with only the slightest gimp that no one sees but me. So I like your piece. Power to you. All this surgery and over-medication drives me nuts. I had very similar results with my dog. He tore his ACL, and luckily I have a really good rehab vet nearby. 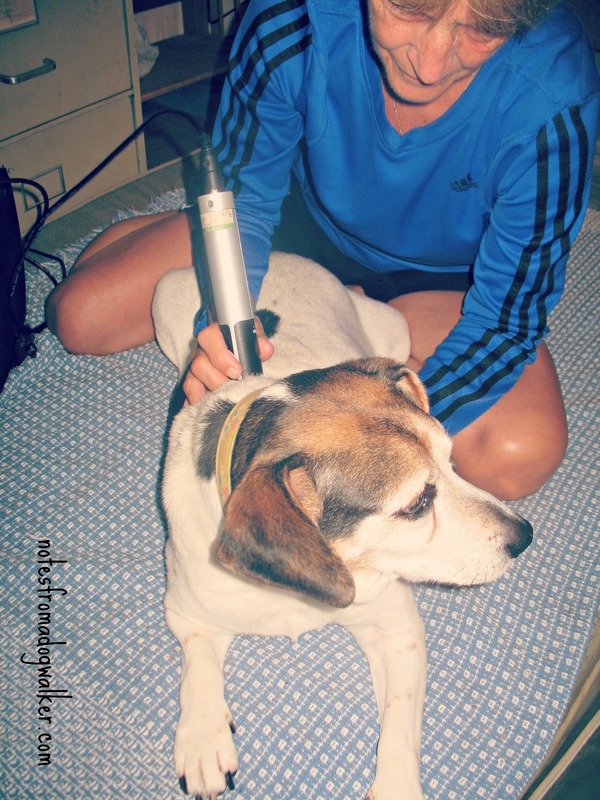 With the underwater treadmill, laser treatment, acupuncture, and strengthening exercises, my dog healed. It took a few months, but no more than a surgical recovery would have been. That was 4 years ago, and we’ve had no problems since. So glad I went that route! We had an akita/lab with a torn acl and our vet that we LOVED aqctually did recommend pt. It worked. Dog and vet have both crossed the rainbow bridge now. Miss them both! Wait, wait, wait. Candy canes and marshmallows? Is THAT why they’re licking themselves all the time?! It’s the only thing that makes sense, right? congratulations (of the non-jinxing sort!!) on your Conservative Management successes. on the ‘dogs don’t tell white lies’ front, i have to disagree. i feel one of my dogs puts on a bit of a show for me sometimes – going through the motions of joy and excitement, or patience and tolerance, just for the sake of her humans. Oh dear, I wish I’d heard about this 18 months ago. We went for the surgery and 8 months later the other knee went – possibly the recovery of first knee put pressure on the second. But one leg and then the other in heavy bandage and limping etc resulted in hip problems – arthritis much worse, the vet said, and she had to agree the two surgeries contributed, plus the fact that his 13th birthday is only 4 months off. He is supposed to lead a quite life now, but this is an extremely active dog who thinks nothing of running for miles across hills. Now if he does he is in agony for days. We might have been better using alternative therapies from the start. Next time …. I’m sorry to hear you guys are going through this. It’s hard to know if our approach would have been a good fit for your pup. Birdie is pretty laid back, so we never had to worry about getting her back to running for miles. But I bet some of these therapies would be helpful for your dog now. Cold laser has helped Birdie’s arthritic back and hydrotherapy might be safe, therapeutic exercise. I’m wishing your family well! In 2006 my Dobe was on 3 legs due to ACL. I was advised to do surgery but chose to try first an alternative treatment plan of acupuncture, etc. Within one month she was standing and comfortably using all four legs and we avoided surgery…..7 years of success and now my almost 11 year old dog is STILL running and playing and enjoying life. If the alternative methods wouldn’t have helped her, I would have done surgery, but I wanted to give this a chance and am so glad I did. Thanks for a wonderful article! I’m so glad Birdie is feeling better! I too wish I’d heard about this sooner. While my own mutt has never had this injury (pardon me while I go find some wood to knock on…), I’ve had a couple friends cry for days over the decision and go into big debt for ACL surgeries, not knowing about any other options. One thing you don’t mention though is the cost of all the alternative therapies – I’m sure they aren’t cheap, so I was wondering if you tallied the bills up, and if so what the savings played out to? Hundreds or thousands (or neither)? Thanks so much for your writing – I’ve learned a lot from your blog and enjoy your style. Best wishes from just a bit south in the Granite State! Hi Jess, Thanks for reading! I haven’t done the final tally yet, but we’ve spent hundreds, not even a thousand, on physical rehab over the past three months. The surgery would have cost at least 3k, plus physical rehab afterwards, so this definitely saved us thousands of dollars! My impression is that the cost of physical rehab and alternative therapies will vary from place to place, practitioner to practitioner, but I think it’s safe to say it may be a more affordable route for many families to explore. Congratulations to you and Birdie on the success! As usual your post has arrived at the perfect time in my life. Sampson has recently developed a mystery limp, and it doesn’t seem to be going away. It’s only been two weeks, and we’re still in the stage one: NSAIDs and rest, but we will probably be going back for more diagnostics next week because it doesn’t seem to be changing much. I spend a lot of time lately asking Sampson what is wrong with his leg, and he spends a lot of time lately asking me if we can go outside and play frisbee… Nothing makes you feel more poor than looking ahead at expensive Vet bills, and this post did a great deal to help me remember that expensive isn’t always better. “Diagnostics” though… [shudder]… I can just feel my bank account being bled dry. Thank you for this, I’m glad the alternative measures worked so well! I’m curious as to what joint supplement you’re giving? Thanks! Hi Melissa, the truth is that we’re still playing around with joint supplements, so I’m not sure what we use is worth recommending! We’ve always given her Nupro Silver, but we’ve added Vermont Pet Naturals Hip + Joint (extra strength) to the mix. I’ve also been looking at the supplement Arthroplex, but haven’t tried that yet. To help rebuild muscle, we’ve given Birdie a supplement recommended by our rehab therapist called Rejuvenate from the U of Nebraska Medical Center. Hello, Is this story about your own personal dog? I found it to be very interesting and would like to share this information. Yes, this is my dog. You’re welcome to share the link to her story! Hi Adriane, I just shared some ideas for joint supplements in the comments (above), but I’m not sure I’ve found the right one yet, to be honest. Birdie stayed still for the cold laser treatments (which really, really helped her arthritic back – not just her leg) because we fed her a lot of chicken. Maybe cold laser/chicken might work for your girl? Seriously – funniest. blog. ever. And so relevant! I find myself coming back to your blog over and over as reference, sending post links to others looking for advice. Hi! Thanks so much for a great article. My labbie Oliver a very laid back sort of guy has a partial ACL tear. My mom took him to two different vets and both recommend surgery. My parents and I didn’t feel sugary was the best choice for him. We looked for rehab but none would take him unless he had the surgery. (at that time he was living with my parents in S. Ca). I currently live in CT and have taken my other dogs to Wizard of Paws. They are amazing! I asked if they thought rehab would be a wise idea for him. After talking we all deiced to give it a try. So Oliver moved out to CT. And around Labor Day he had his first session. In those sessions he get laser, “peanut/ball work” and underwater treadmill. For the first month he went twice a week and could only do 4 min on the treadmill. He’s now down to a once a week visit and 20 min on the treadmill. He’s been off all the pain meds since the middle of Sept. He feels great…almost too great. A couple of years ago my female lab Nike had the same injury and we did the surgery. I wish we didn’t. It was so rough on her. I feel rehab would have been a much better rt for her. Its not for everyone and its not 100% it will work. But it does have its value and is worth looking into. If you are in CT I highly recommend Wizard of Paws! Love this! I’ll be honest, every time Melvin leaps and misses and I’m always sure he’s torn something. I have had so many friends deal with the ACL surgery and almost all have had the other leg need the same. Ugh! I moved to a more holistic approach with Melvin’s allergies and am now totally on board with trying to avoid anything that requires medication. I’m trying to clean his liver, not add to it’s problems! Birdie and her candy leg are lucky to have you, even if you do throw her into a pool and cause dramatic reverse sneezing! Our spaniel whippet cross Monroe didn’t tear an ACL but she had some sort of event, the vet thinks it may have been a thrown clot or embolism, she was suddenly completely paralyzed, couldn’t even blink. We did the steroids overnight at the ER clinic, no help, and considered taking her to Pullman, Washington, for surgery, but our vet (Patti Prato, blessings to her) suggested conservative care, a week of steroids and several weeks of acupuncture. The acupuncture treatments were a tremendous success and Monroe was back on her feet within a week, fully recovered in a month. 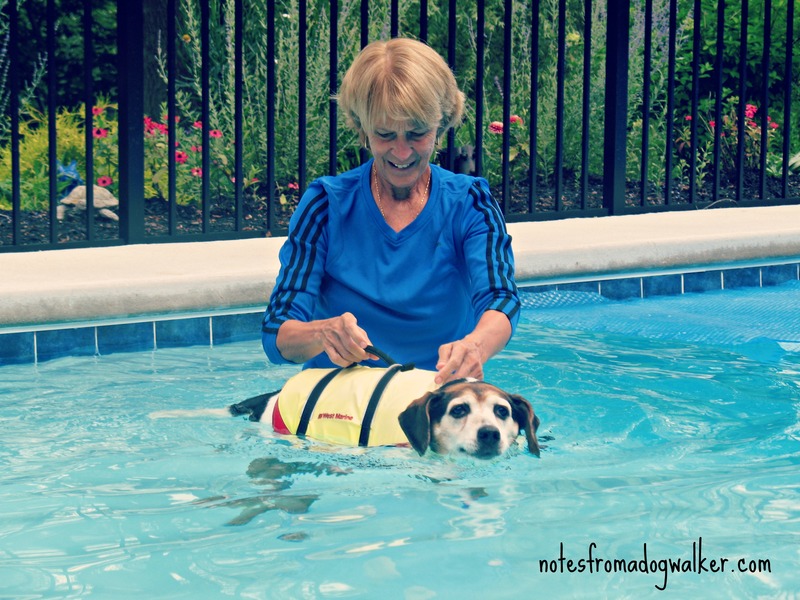 We used a dog life preserver jacket/personal flotation device with a handle to help her get around for a while. Always ask about alternatives. Glad to hear Birdie is so much better! This is not a funny topic, not at all, but I have to compliment your writing. I love the way you use words to fully involve your reader… I feel like I’ve known Birdie for years, in real life, and I’m totally in love with her. You have such a great way with humor in your writing. As far as Birdie, I give you credit for not instantly going the way of surgery. That is a difficult choice for any pet owner, and I certainly think you made the right one. Best wishes for continued health and recovery for Birdie! Well, that sure is nice of you to say! Thank you so much for reading and for loving Birdie from afar (she is a really, really good potato)! This is an excellent article. My neighbors 9 year old Vishla just tore his ACL, he is such an active dog, so when they said they were considering surgery I led them this route instead. No decisions have been made yet and we are still looking for someone in northern California for them, but I hope they do this route. It just seems to have so many more success stories, even after talking to someone at my local dog park, who is a physical therapist and works with his dogs for emotional visits as well. 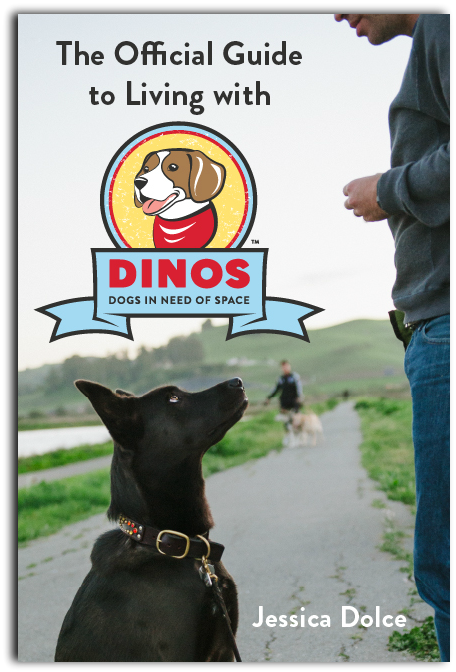 He works for PAWS at Stanford hospitals and has recommended doing this route as he has seen more successes with this holistic path. Thank you again for a wonderful article and I hope that Birdie remains to stay well and healthy… In both legs. My Great Pyrenees tore his CCL back late last summer, TPLO surgery recommended by all the vets, yada yada. I decided to try Conservative Management. My version is Adequan, an A-trac brace from WoundWear.com, and careful restriction of activity (increasing gradually over a period of months). It’s working very well. I don’t think he’s ready to wrestle or run on the beach but I am letting him walk fairly long distances and do gentle hikes. Meanwhile during this same period my former boss (a veterinarian) was trying to resolve a botched TPLO that had been done on his small breed dog, did a second surgery, and then did a third. The third was to amputate the leg. Surgery often has good results but it also has risks (in addition to being expensive); in my case I felt it only made sense to try conservative management first. I’m very, very glad I did. Thank you for the links Diane and sharing your experiences. I’m glad things are working out for your dog! Birdie has been doing really well this winter and, so far, it’s been the right call for us to skip the surgery. I hope things continue to improve for your dog too! I love your post! So funny and thoughtful and totally how I feel sometimes! My 8 year old pit bull had a TPLO back in September and I wish I would’ve known more about this. My vet didn’t give me any info on conservative management, I didn’t even know that was really an option! The surgery was rough for her. Fast forward to this past weekend and she is limping on the other leg! I think she has torn the other acl 😦 I feel like conservative management might be worth a shot this time since I really don’t want to put her through another surgery and finances are an issue right now. Of course I feel horrible putting a price on her too, but your post made me feel like I’m not alone and not a bad mom! Thanks for sharing your story and wish us luck as we try to go this route this time. I’m sorry you’re going through this too. I hope you find a vet or a rehab specialist that can provide some support (in addition to the resources listed here) if you decide to go with conservative management route. And I’m wishing you both well! Thank you so much for sharing your experience with us. My 6 year old Labx Rowan blew her ACL in January and we opted for surgery. She recovered fairly well in spite of a hellish winter here in CT, with below zero temps and lots of ice. Just 2 weeks ago she blew the other knee out and we decided to not do another surgery. We could not come up with another $3000 and I was concerned about putting all her wight on the other surgically fixed leg, as the muscle development on the leg was not so great yet. As soon as I turned down surgery I was pretty much kicked to the curb by my Vet of 20 years! She told me to rest her for 2 weeks and that was it. I called back today and was not offered an appointment,any info on rehab, supplements etc and when I asked the tech about Braces she had no idea. She asked the Vet and who said she does not recommend them. No reason why was given. I’m ridiculously stressed out,have a ton of unanswered questions and feel utterly abandoned and like I’m a bad owner. Your blog has given me hope that maybe I can do this. I really need a new Vet too! I’m sorry to hear you’re going through this Robin. 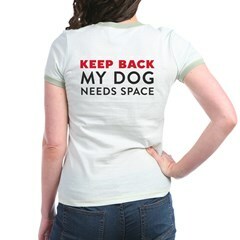 It IS stressful – no matter what you choose to do – and I’m sorry your vet is being so unaccommodating. I hope you find a vet or rehab specialist that can help you guys through this! I am just 4 days in with my 7 year old lab-Roscoe. He is on meds until we head back in 1 week to talk to a surgeon. Not sure wether I will do the surgery due to cost. My boyfriend just had prostate cancer surgery & now are waiting for radiation therapy to begin-he has been our breadwinner here! Insurance does not pay for everything. I feel like I am a bad dog owner not being able to afford is care but everybody knows how much we love our Roscoe!!! 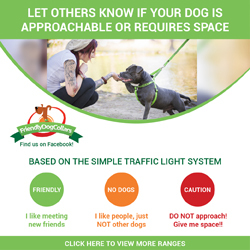 Do you have update on your dog??? Is the therapy working??? I’m sorry you’re going through all this Barbara. My dog Birdie is doing well. We still see her physical therapist 2x a month – not only for her leg, but also for her back (which was painful before the ACL tear stuff). Birdie is a really laid back dog, so the therapy and her current condition 2 years later (not perfect, but totally mobile) are a success for us! thank you so much for sharing. My 2 yr old Corgi is going through the same process. Just to make sure, was Birdie’s acl completely torn? Our vet said holistic approaches work well with partial tears but not full tears. Yes it was a full tear. Sorry you’re going through this too. Birdie is doing well this summer and we’re still glad we opted out of surgery. But she’s 12 and laid back (though she can run!). So it’s never an easy call to make. Wishing you well! We are on this path too. Daisy has been to see the vet twice and has an appointment with a physical therapist on Friday. She is doing better on carprofen and tramadol and I have great hope that therapy will be of immense help. We had a vet who casted one of our dogs with an acl tear years ago. He did not recommend surgery right off. The casting worked. Plus rest and pain meds. He was only two when it happened. Daisy is seven. Marjie, do you have a cast that you recommend? our vet just put a plaster cast on it. With this vet I told her about that but she didn’t try it. She has mentioned a brace but she says we’re not there yet. But the complication is that it is impossible to know whether your dog has a complete or partial year without doing surgery or MRI. There isn’t any other way to know. Ah, perhaps that’s the case. Birdie was diagnosed using manual manipulations (drawer test). For me, the takeaway from this experience has been that, unless it is some sort of emergency, it may be worth exploring restriction/non-surgical options for some dogs (with full or partial tear). If it doesn’t work, then surgery is still an option. My 8 year old beagle completely tore her acl it did the drawer thing. We’ve had so many ups and downs. I am so discouraged and I don’t know what to do anymore. it’s been about 7 months since my beagle was almost completely paralyzed from the hips down. ( she has a disc problem in lower back ) we got her back issues under control and then… bam. Tore her acl. Since then we’ve made so much progress and gone back to square one so many times. I’ve been resting her no jumping or stairs. she was almost walking without issues or even a limp! when. .. I had to go on a trip for 3 weeks. completely unavoidable. She was under mom’s care and was taken care of. When I came back she was limping bad again. She started getting better her limp was less exaggerated. And now she can’t stand for more than a minute without having to sit. She’s been on deramax and cosequin ds. For a while. Thoughts and advice is welcome. . We can’t do fancy hydro therapy and I want to hold off surgery. .. forever. We see our vet regularlY. Please give some advice. 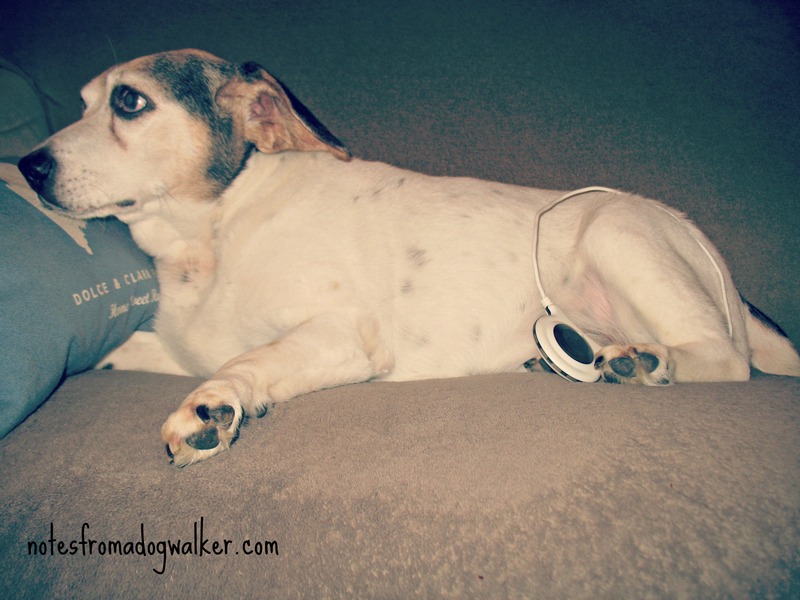 My 12 year old dog, Spike, had ACL surgery when he was six. He had the more expensive surgery at the time, as he was a young and active healthy dog. The following months after the surgery were rough on both him and us, but we got through it. Of course, the savings account suffered greatly for it. I immediately enrolled in a pet insurance plan, anticipating that it may happen to him with his other leg. Fast forward six years to this morning, as he bounded down the steps (yes my old dog still bounds). Another torn ACL, this time in his left leg. Vet recommends surgery. While the pet insurance should cover some of the cost, I hate the thought of having him go through it all again. Thank you for your story, I will definitely consider conservative treatments, and ask those questions when we talk to the specialist this week. Hi Kim, Please check out all the links at the end of this blog for advice, products, and alternatives to surgery. Each dog is a little different. With Roxy’s needs in mind, do some research using those links as a starting place, and work with your vet to come up with a plan that might help her. Daisy is using the MuttKneeBrace. It is about $250 and she walks normally with it. The people at the company are FANTASTIC to work with. They ensure a proper fit. After 16 weeks, Sadie our 9-year old Shih Tzu has started walking with only conservative management!! We were told she would have to have surgery for a full tear to her ACL. The surgeon said to give it 8 weeks to see if she would get better. I am so glad I did not give up!!! Unfortunately, I was not as diligent as I should have been in restricting her activity at first. We were not at home during the first few months of her injury and controlling her activity was difficult. I started making it a priority to keep her activity level down and carrying her as much as I could to go outside. I think the key was not letting her go up or down stairs. I did not use a brace or therapy….just love and time! She is still holding her leg up a lot, but I see so much hope and improvement. It is so nice to see her actually walking again! I know it is going to be a long year of work, but I am trying to protect her other leg as well. I have read not to let a vet try to do a drawer test on her once she has started to heal, so I am going to heed that advice at our next appointment. When she is being groomed, my groomer knows to be cautious of her injury as well. Sadie has had 2 bladder surgeries for bladder stones, and will need another one soon, so we are so happy to have learned about conservative management! That’s great news – thanks for sharing your story here Shelly! After 4 weeks with a MuttKnee Brace and 8 weeks of restricted activity my dog Daisy is walking without a limp when the brace is off! I enjoyed reading your success story about Birdie 🙂 I went through the similar thing with my dog Lucy. When she tore her ACL it broke my heart seeing her in pain but I knew surgery wasn’t an option because of her age. I ended up getter her a brace from Woundware and it worked wonders. She didn’t even have a wobble in her walk anymore! I was happy to get my walking partner back and get joy hearing about other success stories about owners who have gone through the same thing. That’s so good to hear that you and Lucy had such success with the brace. Thanks for letting us know! Anyone else been in a situation of managing two ruptures conservatively? I’m so sorry you guys are struggling with two injuries Clare. I don’t have any personal experience with this (yet! ), but I’m wondering if the braces that are listed at the end of this blog might be helpful? Some of the folks who have commented here seemed to have a lot of success with them. Thanks Jessica, I asked the vet about braces today but they don’t seem to use them in the UK. Daisy saw the vet on Saturday and she is healing well! She has been wearing the MuttKnee Brace since July. She is off pain meds and doing strengthening exercises for her leg. I hold up each of the good paws for 10 seconds and help her balance, walking backwards, and stepping through a ladder. She thinks it is more training like she had for therapy dog. Which she failed because she barked! My puppy Thor is 2 months old. We was outside playing and he loves to chew on stuff and then run off. He slipped and started crying and it scared me really bad. I picked him up and took him inside and he was limping on his right rear leg. After a few hours he got up and was stretching his knee and it seemed fine. At one moment I was sitting with him and just lightly rub the leg he was limping on and he cried out. I rushed him to the vet in town and they examined him and said that we should look into surgery. I don’t understand why they was so quick to conclude to surgery so I asked for some pain meds and decided to give it some thought. He is walking but still Limping so what do you think? Its only been 2 two days and looks to be getting better but Im not sure..
Hi TJ, I’m sorry you and Thor are dealing with this. It sounds like getting a second opinion from another vet might be helpful, if you’d like too explore a few different options. Wishing you both well! I have a 2 yr old Pit Bull who I just had x-rayed yesterday. He slipped on the ice last year and I have suspected that he has a partially torn ACL and yes the X-rays have confirmed my suspicions. He does great for a while but after any running or jumping he gets sore. The vets are pressuring me to get the surgery done, but I’m not sold on it. I believe keeping him quiet, walking on a leash, weight management, and lots of TLC will probably give him as good a quality of life as if I went through with the surgery. There are no guarantees that the surgery will even be successful. Sure do get pressure though. I do have one friend that’s a vet and he has really encouraged me to follow my gut and I have really appreciated that. Question: Has anyone used a leg brace to help support the knee with this kind of condition? I haven’t read through everything here so maybe it’s mentioned. I took my Doberman into the veterinarian for an occasional hop that was so slight I thought he might have a splinter in his paw that I couldn’t find. When we went in, he could sit in good form, jump. and run for hours. When we came out, he had a severe limp and sat with his paw extended out to one side. Now when trying to sit, his back is arched to avoid placing pressure on the injured stifle. The physical exam performed on his leg was so brutal that now he has a more serious problem. We have insurance for our pet, but we don’t want to use it to pay for surgery. We have opted for Conservative Management and want to share our journey and what we have learned along the way with others. We have created a facebook page called “Conservative Management for Dogs” (https://www.facebook.com/DogConservativeManagement). Anyone who wishes to contribute to the community is also welcome to share. Was Birdie’s affected leg larger than the other leg during and after recovery. My dog is recovering with conservative management and I worry that the increased size of her stifle is something more sinister. I dont want my vet to check it just in case she makes it worse. No, it’s actually a bit smaller! I been reading your website and would like to say THANK-YOU for sharing your story and educating us all . I’m from Oahu, Hawaii and was wondering do we have an rehabs or vets that offer CM? I have never heard or seen this. Hi Natasha, I’m not sure what’s in your area, but if you google something like “hawaii canine physical rehab” I bet you’ll find something. Good luck! Need some advice… I love reading that all these family members have had great success with cm but I’m torn as to wethr my guy is a candidate for cm. I have a 219 lb English mastiffs with a torn ccl don’t want to put him thru the TPLO surgery but he might be too big and have too much weight for cm to be effective… Anyone know of any articles or know of giant breed statistics with cm vs surgery… I am so torn! Karla, did you ever move forward with this? We’re in the SAME EXACT conundrum. We were told our 7 year old cockapoo Beau had a torn ACL after he came inside from playing and would not put weight on his back right leg and we were told that he needed to have surgery. It was a Friday and they scheduled the surgery for a week out and gave us some pain meds and anti-inflammatory to take home. We agreed to the surgery because we wanted what was best for Beau. We bought him a 4×4′ exercise pen ($69, Tractor Supply) to restrict his activity. After 2 days of pain medication and rest, he started walking on his leg! We debated what to do and cancelled the surgery and made an appointment with My Pet’s Brace, since obviously if he was walking on it again so soon that it couldn’t have been completely torn and he just needed some additional stabilization. We could not get him in for a brace for another two weeks after that, so we waited and Beau kept resting in his pen. We are now 2 days away from our appt. with My Pet’s Brace (3 weeks from injury) and I just called to cancel the appointment. Beau is walking just fine on his leg, even trotting around the yard on his gentle leader when we go out. We are still going to keep him in his pen for another 2-4 weeks to make sure he is fully healed, but I shudder to think that we nearly spent $2k on a surgery he didn’t need. I fully recommended waiting several weeks before scheduling surgery if you think your dog has a torn ACL. Thank you ….your sharing Birdies story is delightful and so positive. Our seven year old Lab Zoey is diagnosed with a torn ACL and low and behold…. Our Vet put us in touch with a study on pain medication and Zoey is eligible for free and complete surgery on her knee and therapy . They would be doing the radical bone cut and internal brace ( sorry I can’t at the moment remember what it’s called) She has a full tear and is hobbling putting her right rear paw down occasionally. I would do this holistic therapy. This opportunity is drawing me towards surgery. I’m scared for my dog and have no idea which route to take…..the injury is three weeks ago . Hi Joan, I’m sorry you and Zoey are going through this! It’s a tough call to make, but I’m so glad you have this affordable option. My mom’s dog (who is larger than Birdie) had surgery for two torn ACLs and has done really well post-surgery. I’m wishing you luck in making the best choice for your girl and hope that she’s back to all 4 paws on the ground soon! I’m a few days into the conservative management approach and am hoping I’m doing it the ‘right’ way for my dog. She’s just two so I don’t want to give her a life of pain and disability. The more I looked into surgery, the less I wanted it, plus I just can’t afford it or the therapy coming after. Complicating everything is the fact that I’m scheduled to leave on a month long business trip in less than 30 days. Board and train is definitely out and none of the vet/rehab/boarding facilities in my state (so far) will keep her until she has surgery. Apparently they’re not comfortable doing rehab in boarding before surgery because it could put strain on the other limbs? Isn’t that something that would also happen post surgery?? I’m struggling to find a rehab program. There’s a fitness center that hosts rehabbing dogs for swims, massage, acupuncture… nearby but they don’t employ vets and when I emailed them they said she needs surgery, not rehab. I’m tempted to just take her swimming without telling them about her ACL – maybe say it’s an old injury if they ask? But i also worry about doing it wrong and her injuring herself further. It’s just a lot. But she needs to do something or I feel like she’ll lose muscle tone and end up injured again the second she goes to run whenever she’s ready. Plus, if she doesn’t start doing an activity, we’re both going to lose our minds. I’m sorry you’re going through this. Conservative management is a long process and rebuilding muscle comes after a long period of rest. Way beyond your business trip. Whether or not you do the surgery, your dog needs some professional help now – you’re right to be worried about doing things like swimming or conservative management without the guidance of a pro. Conservative management isn’t always the best choice – some dogs do better with the surgery. My dog is a low-energy senior. To be honest, if she had been young and very active at the time of injury, I probably would have found a way to charge the surgery to my credit card. I’m wishing you luck as you figure out the best course for your dog! I’m so very happy to have found this! Our 90lb 4yr old pup has been suddenly having rear leg issues. It started with a limp after laying down which amazingly vanished in a few minutes accompanied by him making playtime a little shorter on his own. He has no noticeable swelling. No pain shown when his leg is pulled, pushed, contorted, lightly bit, kissed, or tickled. Nothing. I cant say that anything has gotten better or worse in at least 3 months. His first vet visit (soon after first sign) he was prescribed anti-inflammatory and had some signs of increased mobility/less limping. Once the meds were gone I think kind of slowly started his occasional limp again. Recently, I took him in to see the vet and they are sedating him to look into it further and/or take x-rays. The vet already warned me this sounds like a possible partial tear. Surgery is likely going to be recommended he says. I’m torn on this because I really don’t see the point of putting him through the recovery of surgery to save him the few moments of lameness that he experiences before he trots off into the yard. I mean he was literally jumping and swimming 24hrs ago, tongue hanging out and happy. My concern is that my boy does not like to show me signs of weakness. Is he chasing the ball in pain because he thinks that’s his job? Is he jumping into the lake in pain because he knows I love to watch him swim? These are the questions that keep me up worrying. I really feel like now that winter is only a few months away, putting him on a strict bone chewing/light duty around the house “conservative management” with maybe some swimming sessions and glucosamine to see if things get better or stay the same. You know why I’m here… It’s been 6 months since my insanely active Black Lab tore his ccl. What a nightmare. This dog is constantly playing fetch, jumping for joy, and swimming. He loves leaping off of the dock into the water after his ball. So, after 8 weeks locked down in a cage with leash potty time he was noticeably better. He was using his leg but had a deep limp. It wasn’t pretty. Graduated to short leash only walks. Over the next 2 months I watched his deep limp melt away. Month 5, no leash but still heavily monitored and limited free time. Month 5.5, let’s go swimming… He did great. Jumping and swimming and digging and looked good. The next morning, back to severe deep limp. I re arranged some things and had him semi confined for a few days and put him back on a leash. 4 days later, he’s doing as well as he was before swimming. 3 days ago, let’s go swimming. He does great. Has a blast. Get home I walk him around I see no issues. The next morning, severe limp. Painful deep limp. Limp was gone by the end of the day. I don’t know how this will end. I keep seeing improvement. He’s definitely a much happier dog today than he was 6 months ago, but when he eats his food or drinks his water (I just thought of something to try) he continually lifts his bad foot/leg up and down. I am going to raise his food and water up off the ground. I don’t, see how a surgery is beneficial. The tendon snaps. Inflammation takes over. Scar tissue builds up. Dog can get around eventually. Is there some discomfort? Sure. But surgery isn’t all rainbows and unicorns either. I’m sorry you’re going through this. It may help to talk with your vet about pain medication, ways to reduce inflammation (from NSAIDs to cold laser), and other options, like a knee brace to stabilize the joint and physical therapy. Whether we opt for surgery or conservative management, supporting and caring for our dogs is an ongoing process that usually means we have to consider incorporating a few different approaches. Wishing you lots of luck! I am looking for some advice. Our 8 year old Coonhound (40lbs) was running in the park on the weekend and ran up a steep incline before we could stop him, and then unfortunately back down it where he fell and yelped out loud! Since then he has not been able to put weight on his rear left leg, which just hangs limp while he walks. I took him to the Vet yesterday and she suspected a cruciate ligament tear and that we take him to an orthopedic surgeon. After being told the costs of the initial visit and possible surgery I do not think we can afford this. I have read that the ATRAC brace is a good alternative and wanted to get peoples opinions. Also until we come up with a solution should I prevent him form walking anywhere, he usually has so much energy and it is hard to see him like this. Look at poshdogkneebrace.com. They were wonderful with our dog, also very active. Eight months into cm, we are very pleased. We also took her into our pool to swim several times a week and put her on Joint supplements and fish oil. Good luck with this, but you also can go for surgery later if cm doesn’t work. We were also told that surgery is successful over the long haul about 60% of the time. Thank you for your post. May I ask how the story goes now? Would you still choose conservative management? Hi Michelle, Yes, I think we’d still choose to go with CM now. She’s almost 14 now and not very active though, so had she been much younger at the time of injury we might have chosen a different route (if we were able to afford it). I think what readers of the blog should know, in general, is that CM is still a significant investment of time and money (we continue to go to her physical therapist, she’s on a lot of supplements, etc.). So it’s not simply a matter of choosing not having the surgery – CM is a more engaged process than that and I hope that if readers are considering opting out of surgery, that they are working with a vet and PT person that can help them come up with a solid plan to help their dogs over the long haul and give them a good quality of life. Thanks for asking! We are also happy with conservative management . Mollie does not wear her custom brace at all. I still take her swimming to keep the muscles strong (supporting the joint.) our vet found significant improvement when he examined her recently. She has to go in to get her teeth cleaned, so we will re-X-ray her knee at that time to see the difference between now and the time of her injury. We try to keep her from jumping like a pogo stick, which she does when excited, but find her jumping on and off “her” chair. Still glad we went this route. Thanks for another great article. 15 months ago my dog completely tore her knee. She had been limping off and on for the prior year but unaware that she had a torn knee ligament. Then she completely tore it and was walking on 3 legs. The veterinarian said it was fully torn 4.5 out of a 5 which is worst case. The vet referred us to TPLO surgery for $5900 but with the high failure rate that was just not an option. I ended up buying a woundwear brace but it was really flimsy so it didn’t not seem to provide enough support for a full tear and putting it on was not easy and she didn’t like harness rubbing on her back. Next I tried a custom posh dog knee brace which was much more substantial to support the knee and well made. I saw it at poshdogkneebrace.com and they have a helpful blog on affordable joint supplements and info on tplo tta surgery that is really helpful even if you don’t get a brace. They were very helpful when we had ?’s and did two skype calls to make sure the brace was fitting correctly. I could see improvement in just a few weeks, and in nine or so weeks she was walking well without the brace but we still used it some. A completely torn knee can heal without surgery. My dog is walking proof of that.